Ai "harmony" Ki "life energy" or "spirit" and Do "method" or "The way" and when combined can read as:"The way of harmonising your spirit"
Pronounced Aye - Key - Doe, Aikido is a relatively new martial art and is fast becoming one of the most popular, with close to 2 million people practicing worldwide. Aikido has a multitude of facets and can mean many different things to each individual. The lesson structure is such that it is suitable for any age, gender, religion or fitness level to learn and practice. 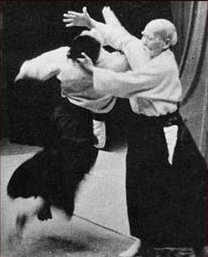 Primarily, Aikido is a martial art with principles and techniques that when applied, are highly effective in confrontational situations whether they be physical, verbal or psychological. Unlike some other martial arts there is no blocking an attack but rather a holistic approach to each situation with a blending and harmony of energies. This then leads to an immobilisation without causing detriment to you or the other person. However, if required, Aikido can be devastating! Utilising a spiritual and physical concept of universal energy, Aikido is based upon movements that emanate from a stable centre of gravity. Whilst Aikido is an effective, sometimes devastating martial art, its other benifits include confidence, relaxation, focus, co-ordination, flexibility, balance and meditation. Training is conducted with partners; there are no "opponents". This concept reveals that there is no one to fight against and creates an attitude of having no enemies to begin with. 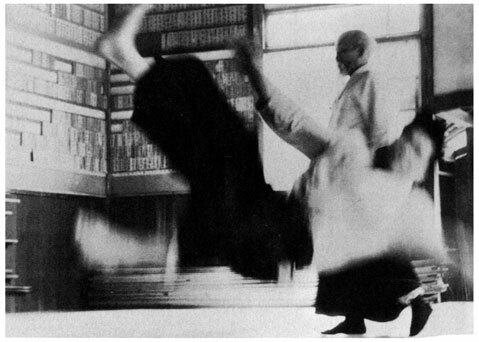 There are no competitions or tournaments in Aikido. This promotes a fun, friendly and enjoyable atmosphere to train in. As Aikido is practiced more and more, the realisation takes place that if any competition exists, it exists within oneself. With this in mind, it is expected that a student of Aikido forever polish their technique and foster a caring and sincere attitude towards others and their environment. It is a process of forever looking to better the self, much like that of an athlete who continually strives to achieve a personal best. The practice of Aikido is not the purpose to become "better than other people", but to see our own benifits and express our lives creatively for positive growth. This is but one of the deeper meanings to the martial arts.